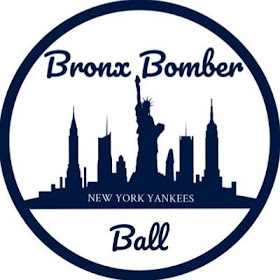 With many of us at the BBB being avid fantasy baseball enthusiasts, we have decided to bring our readers weekly fantasy baseball information and advice on players on the Yankees to possibly give your team that extra edge in your fantasy league. 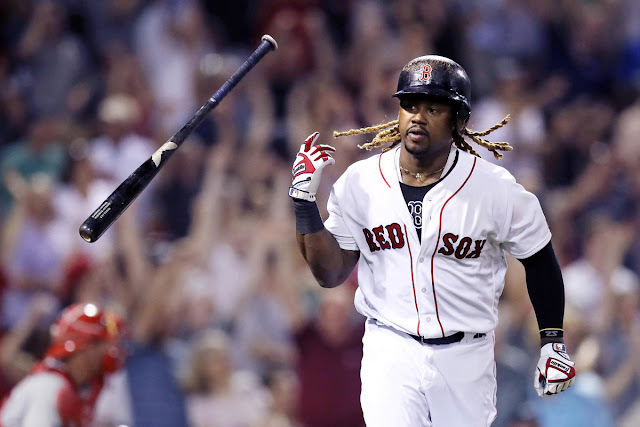 Each week we will breakdown the Yankees’ matchups and what player on the team should be picked up on the waiver wire or should ride the fantasy pine. The Yankees have on off day on Monday and will then play six games at home. They will face the Cincinnati Reds for two games and then the Tampa Bay Rays for four games. The Reds are in the cellar of the American League Central and should allow for the Yankees to hopefully win two easy games. The Reds’ biggest downfall is their pitching and this series will likely be a prime opportunity to kickstart some of the Yankees’ slumping bats. Homer Bailey’s 8.56 ERA is extremely satisfying to fantasy owners with Yankee players as he has been hit extremely hard this season. While the Yankees and Rays series’ starters have yet to be announced, this series should be a very competitive one between two teams that are separated by a single game in the AL East. The Rays are strikeout machines, which could highly benefit the Yankees’ pitchers, but their home run potential could hurt long ball prone pitchers, such as, Masahiro Tanaka. The games will likely be tight as the Yankees are always played tough by the Rays, so expect the Yankees’ relievers to receiver plenty of opportunities to rack up points. Fantasy owners that were patient with Aaron Judge reaped in the rewards on Friday and Saturday, as he homered twice and even knocked in four runs on Friday. Judge’s high walk-rate balances out his high strikeout rate and hitting at home, where he excels, should only further boost his stats. 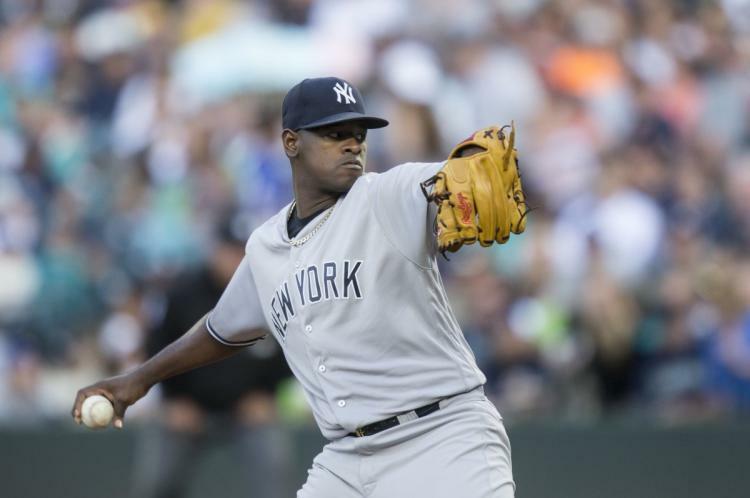 Severino is coming off a dominant start against the Mariners and is easily the best option among the Yankees’ starting pitchers. His ability to give the Yankees innings and high strikeout totals has made him a no-brainer starting option in almost all formats. Gregorius has been on fire as of late as he has racked up four multi-hit games in his last six and homered twice on Sunday. His batting average is up above .300, and he is only owned in 66.3 percent of ESPN fantasy leagues. Clint Frazier has been moved ahead of Ellsbury in the Yankees’ outfield depth chart, and he has the production to back it up. 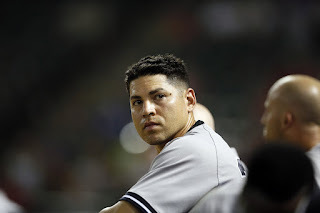 The player that was deemed “not ready” by many memebers of the Yankees’ organization has shown he belongs as he is hitting .304 with 11 XBHs in the early going of his career. The only concern with Frazier is his extremely poor strikeout to walk ratio of 1:15, but with his XBH potential he is worth a start in a deep league. Ellsbury has lost his starting role, for now, to the aforementioned Clint Frazier. Clint Frazier is the “hot-hand” and will likely be receiving a majority of the at-bats for the near future. Castro was placed on the disabled list with another hamstring strain on Saturday. While his production has been good, when healthy, if you have a team with their DL spots already filled, it may not be the best decision to keep him around. Tyler Wade and Ronald Torreyes will fill-in at second base and could be a nightly option in a deep league. Holliday has been abysmal since his return from his sickness that saw him miss an extended period of time, before the All-Star Break. He has seen his batting average drop to .242 and has been a prone strikeout and double play victim. Girardi has been penciling him in the lineup, despite his struggles, but he could see his at-bats diminish if he continues to hit poorly. CC Sabathia will make his first home start, since returning from the DL, in the series against the Rays. Sabathia has been solid over his past two starts as he has only allowed a single earned run over 11 innings of work. He should be able to give the Yankees more innings this week and has historically pitched well against the Rays. Unless the Yankees opt to go with a six-man rotation, Montgomery is projected to have a two-start week. He will pitch both games at home against the Reds and Rays. He has had a solid fantasy season, but has been mediocre in his past four starts. If you trust that he can rebound from these starts, Montgomery could be a solid pickup for the week. While neither of Kahnle or Green will likely receive save opportunities anytime soon, both pitchers have been electric in the Yankees’ bullpen and have shown the ability to allow minimal baserunners and rack up strikeouts. 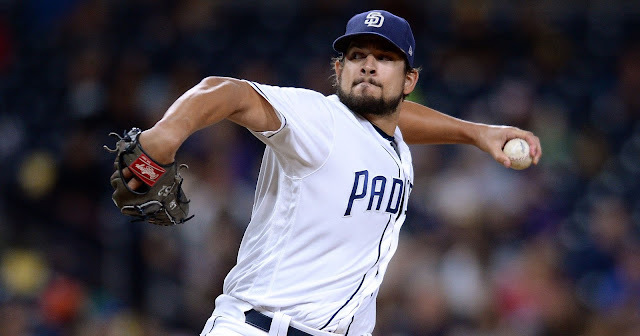 In leagues where relievers are scarce, neither Green nor Kahnle would be a poor option to boost your team’s bullpen. Both players are owned in less than 10 percent of leagues.